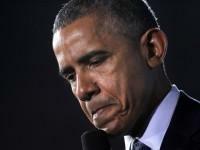 A federal judge has agreed to delay the sanctions he ordered against the Obama administration for misleading his court about the implementation dates for executive amnesty. 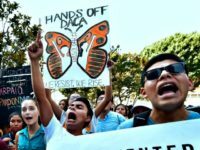 A federal judge demands Obama administration lawyers to undergo ethics training after they knowingly and repeatedly misrepresented the implementation dates for executive amnesty in both oral and written offerings to the court. The 26 states challenging President Barack Obama’s executive amnesty are pressing the Department of Homeland Security to replace some 108,000 three-year executive amnesty work permits issued to illegal immigrants with two-year permits. 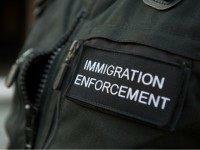 A DHS Inspector General audit released Thursday did not find any evidence that U.S. 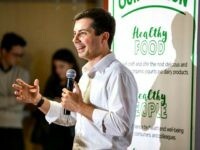 Citizenship and Immigration Services deliberately violated U.S. District Court Judge Andrew Hanen’s executive amnesty injunction when it continued to issue prohibited three-year work permits to illegal immigrants granted deferred action, as opposed to the acceptable two-year permits. U.S. District Court Judge Andrew Hanen will spare Department of Homeland Security Sec. 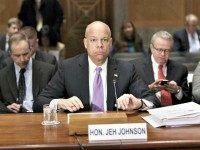 Jeh Johnson from appearing before his court later this month to answer for the Obama administration’s illegal issuance of amnesty documents. The Obama administration is again warning illegal immigrants who were issued three-year work permits — in violation of a court order — to return those documents immediately or else find their deferred status terminated. 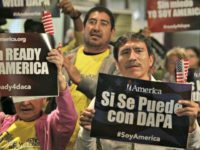 The Obama administration has taken extensive efforts to try to recoup some 2,600 three-year work permits issued in violation of a federal district court’s injunction halting President Obama’s executive amnesty programs — expanded DACA and Deferred Action for Parents of Americans and Lawful Permanent Residents (DAPA). USCIS is simply replacing the three-year permits with the allowable two-year documents. 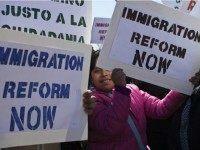 Latino groups are complaining. U.S. 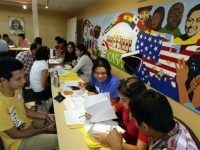 Citizenship and Immigration Services officials will begin visiting Deferred Action for Childhood Arrivals (DACA) beneficiaries who received the illegal three-year work permits and have not yet returned them. “This Court has expressed its willingness to believe that these actions were accidental and not done purposefully to violate this Court’s order. Nevertheless, it is shocked and surprised at the cavalier attitude the Government has taken with regard to its ‘efforts’ to rectify this situation,” Hanen wrote in his order. The Obama administration says it violated a federal’s judge’s injunction blocking President Obama’s executive amnesty programs from taking effect due to computer problems, according to reports. 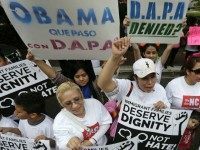 The Obama administration violated U.S. District Judge Andrew Hanen’s injunction halting President Obama’s executive amnesty programs, Justice Department lawyers have admitted to the court. The Obama administration is expressing regret to U.S. District Judge Andrew Hanen — the man presiding over 26 states’ court challenge to executive amnesty — for not being entirely forthcoming about the implementation dates associated with the programs. BROWNSVILLE, Texas — The injunction that has blocked President Barack Obama’s executive amnesty will remain in place following the ruling of a federal judge Tuesday night in this Texas border city.